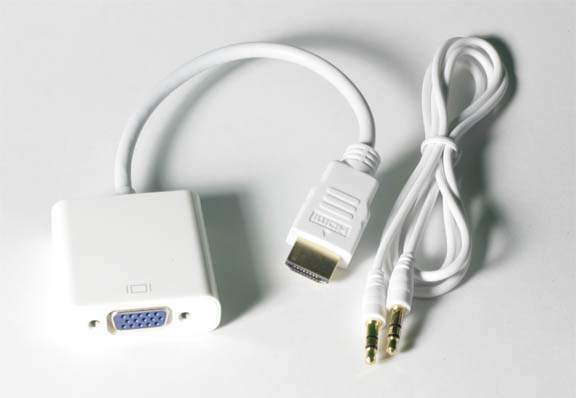 The HDMI to VGA Converter allows you to connect an HDMI laptop, tablet, or other device to a VGA monitor or projector. It's an active converter, requiring no power source and featuring a plug-and-play design. It supports resolutions up to PC 1920 x 1200 / HTDV 1920 x 1080p. Includes 3.5 mm Audio which is very common connector on many Monitors. On-board DA Conversion Takes Power off HDMI Port.